The idea of starting international olympiads in informatics for school students was proposed to the 24th General Conference of the United Nations Educational, Scientific and Cultural Organization (UNESCO) in Paris by the Bulgarian profound Professor Blagovest Sendov in October 1987. This idea was added to the Fifth Main Program of UNESCO for the biennium 1988-1989 (Section 05 215). In May 1989, UNESCO started and sponsored the first International Olympiad in Informatics (IOI). (Quoted from the IOI'89 and IOI'92 Report). 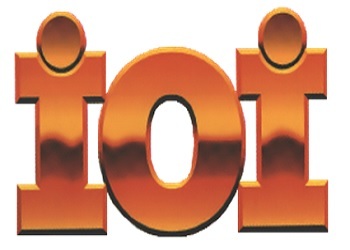 The first IOI was held in Bulgaria in 1989. The IOI is one of five international science olympiads. The primary aim of the IOI is to generate enthusiasm in informatics (computing science) and information technology. Another important goal is to bring together special talented pupils from various countries and to have them share scientific and cultural experiences. The IOI is organised annually in and by one of the contesting countries. Each contesting country typically sends a delegation of four contestants and two accompanying adults. Students compete individually and try to increase their score by solving a set of informatics problems during two competition days. Cultural and recreational programs are organized on the remaining days.